Here the temperature came back above freezing yesterday. We still have an ice slick in the driveway, and patches of snow elsewhere, but I think it’s safe to say that the worst part of winter is behind us. And in two and a half days we will know how all this winter weather will affect the Superbowl. 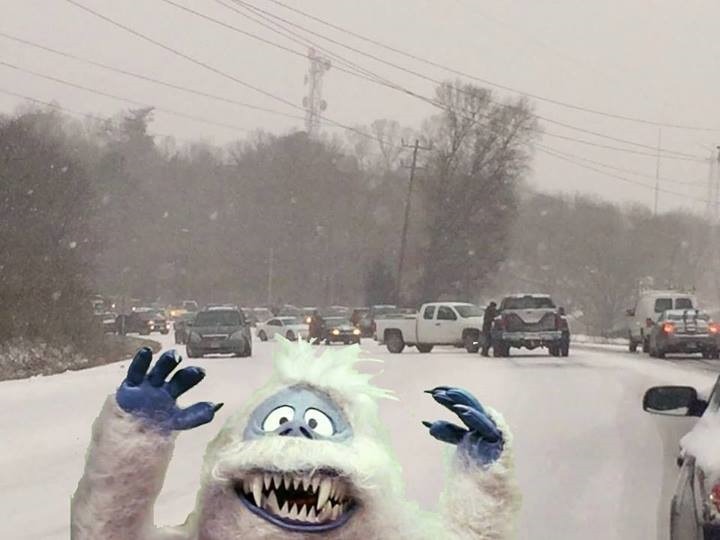 Did you hear about the snowstorm in Atlanta? I don’t think they got any more snow than we did, but Georgia is not prepared for those kind of conditions. 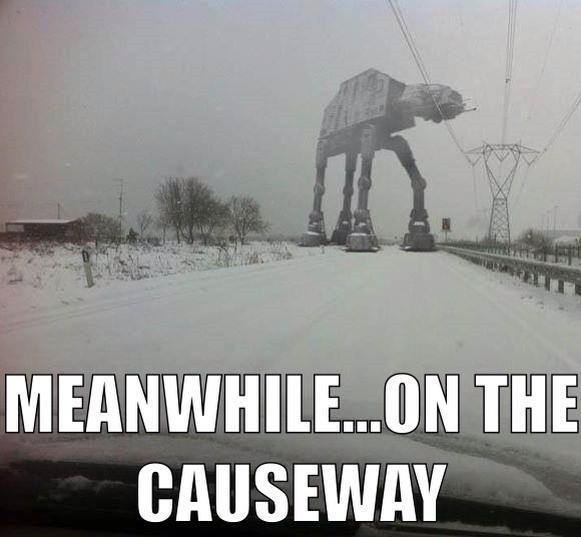 They probably don’t have much salt for the roads, to start with. We also heard about Chick-Fil-A workers passing out free food for the people whose vehicles got stuck in the ice & snow; that was nice of them. Do you recognize the other character out there with them? 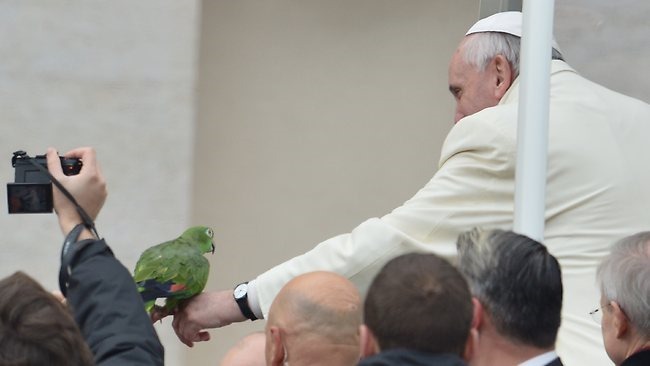 Today Pope Francis was going through a crowd at the Vatican when somebody held up his parrot to him. 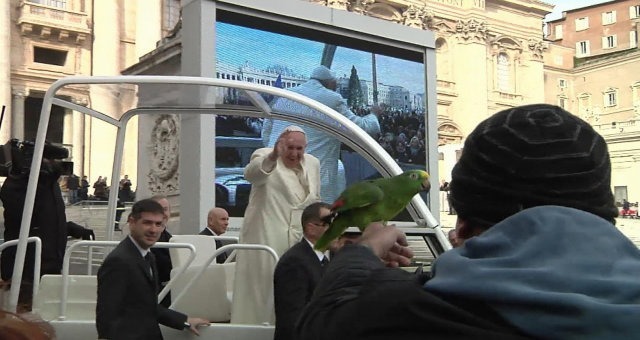 The parrot, named Amore, said “Papa” like the rest of the crowd. The Pope turned around, picked up Amore and blessed him. 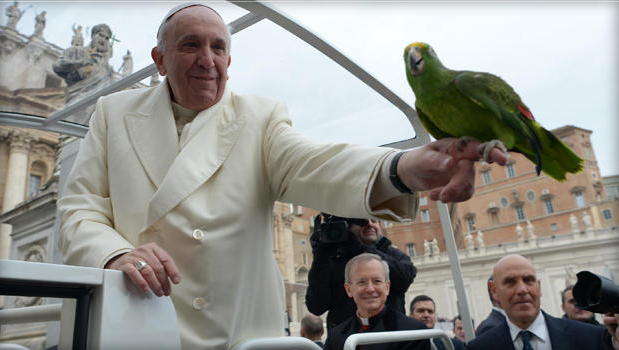 I’m glad Francis gets along with parrots, if not doves. It must help that both the Pope and the bird came from Latin America originally. From what I can see in the pictures, Amore is definitely an Amazon parrot. He doesn’t have a patch of yellow feathers on the back of his head and neck, but otherwise he looks just like my Brin-Brin. 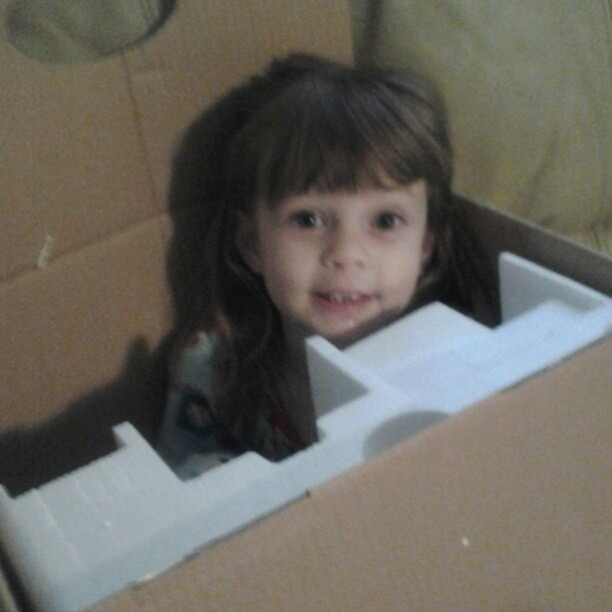 Now if only I can get Brin-Brin to say something like “Papa.” No doubt Leive will say he doesn’t want to learn because he’s a birdbrain, LOL. I bet right now, a lot of people are feeling like the author of that sign. 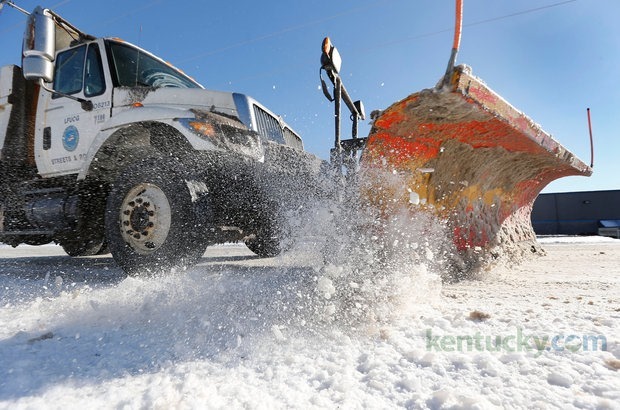 More snow was dumped on Kentucky last Friday and Saturday. We probably got four inches altogether. Because of that, the mayor of Lexington asked us to stay off the roads as much as possible, and school was cancelled for three days (Wednesday-Friday). Church was cancelled for the weekend, too, so we did not go anywhere on Friday or Saturday. 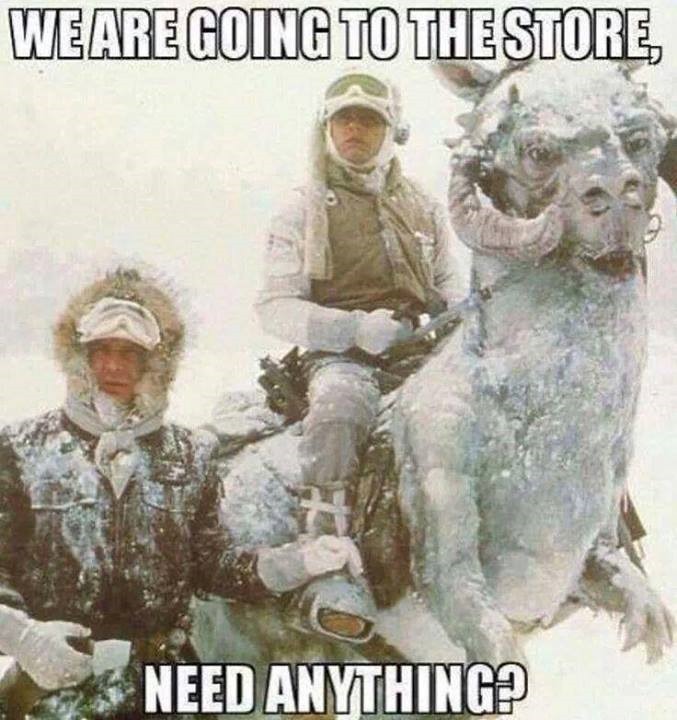 The temperature warmed up to 54 on Sunday, though, so we went out for a few errands then. Now the temperature is falling again, and will possibly reach zero tonight. No snow is in the immediate forecast, but the combination of melting and re-freezing that we got yesterday and today is turning some driveways and sidewalks into ice slicks. That could make walking onto our doorstep a tricky task, if we have any company over tomorrow. Yes, it’s that kind of cold. Of the ten, North Korea is communist, of course, while all the other nine are Moslem. When I was young it wasn’t clear whether Islam was more dangerous to Christians than communism; now I believe the question has been answered. The only country I did not expect to be on the list are the Maldive Islands, because that archipelago of atolls makes few headlines. Still, they managed to push one of the most notorious offenders, Sudan, down to the #11 spot. So far in the United States, the only real sign of persecution is in the way our federal government is trying to get Catholic institutions (hospitals, universities, etc.) to pay for birth control devices it opposes. I talked about that at least once in previous messages. However, in several countries on the list (Iraq, Afghanistan, Syria and Libya), the United States is encouraging the persecutors. For the past few years, at least since Hurricane Katrina, I have had a nagging feeling that God is not blessing the United States anymore. This could explain why. If we truly are accomplices to the worst enemies of Christianity, God help us (and you know He won’t). This morning I woke up to find the outside temperature below zero again; it’s the fourth time this month. Because of that, I hereby declare January 2014 the coldest month Leive and I have experienced, since moving to Kentucky more than seven years ago. In July 2012 we had an extreme example of how high temperatures can get; now we’ve seen how low they can go. So while taking refuge from the cold and the snow indoors, today I completed a major rewrite of “Soviet Russia,” Chapter 4 of my Russian history series. When I first composed those papers, back around 1989, the Soviet paper broke off at 1985, and I had another paper cover Mikhail Gorbachev’s administration. Of course, I couldn’t have known at the time that the Soviet Union had only two years left to go. When I rewrote the papers in 2000, I just added the events of the 1990s to the last paper. Now I have merged the first half of Chapter 5 with Chapter 4, so I really have the whole story of the USSR in one chapter. Now Chapter 4 will go from 1917 to 1991, and Chapter 5 will just cover Commonwealth Russia in the 1990s, until I can write something about Vladimir Putin and Mr. Medvedev. 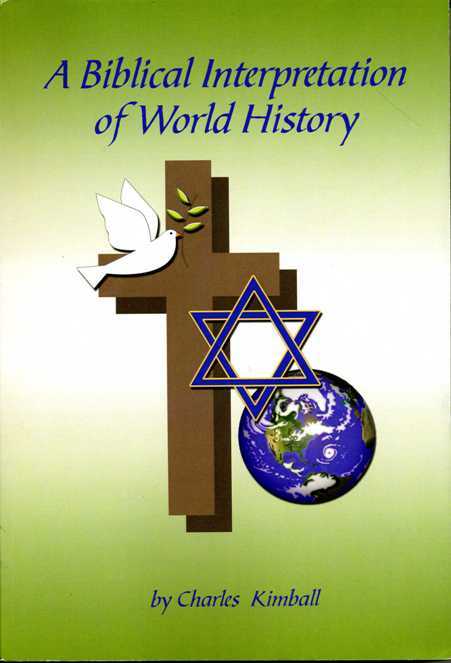 Also, I divided Chapter 4 into three sections, covering the early years of communism, the World War II years, and the Cold War years. Finally, I added new pictures and maps. Here are the links and a list of the subheadings. I hope you like the changes. 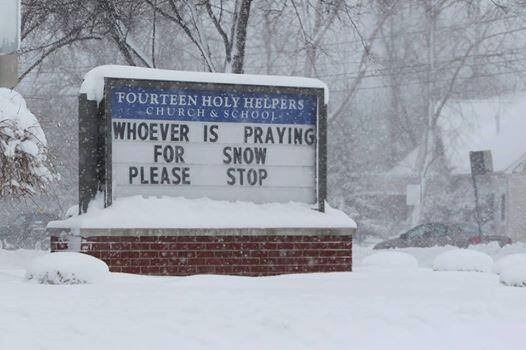 Well, the second killer winter storm of the year (so far) arrived yesterday. Temperatures went below zero again last night, though not quite as low as they did two weeks ago, and this time the furnace didn’t have a problem maintaining the workload. One big difference is that last time we didn’t have much snow to worry about, but this time we got about 4 inches. That was enough to make driving dangerous and close the schools on Wednesday & Thursday; the Tuesday night ladies group from our church did not meet at our house, either. 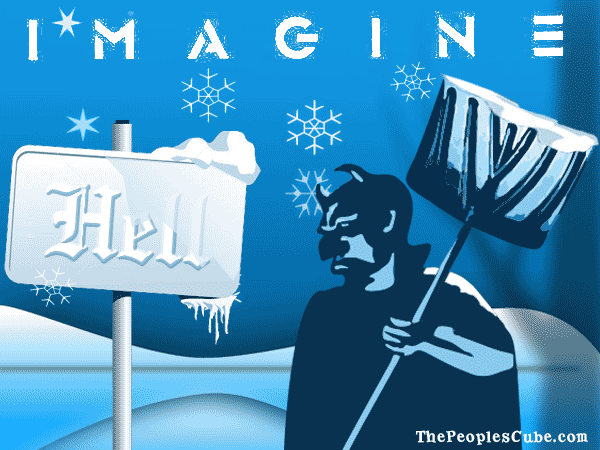 And when temperatures are in single-digit figures or less, salting the roads doesn’t do much to melt the ice. I know things must be tough for the wildlife outside because of the numbers of birds that are coming to my bird feeder; a fat squirrel is now regularly visiting it, too. At 11:30 on Tuesday night, I put on two jackets (it was about 3 degrees then) and went outside to refill the feeder. I didn’t do it in the day because chances are I would have scared the birds away. The next day, so many critters came to the bird feeder that by sundown, it looked empty already. I’ll probably check it again tomorrow. One thing that amazes me is how many different names folks are coming up with for winter storms. A little over a year ago, Hurricane Sandy was called a “Frankenstorm” when it collided with a huge cold front. Then two weeks ago we heard the term “Polar Vortex” to describe that storm. Now I have heard today’s storm called “Bombogenesis,” though I am not sure what that means. On top of that, winter storms are getting individual names, as if they are the Yankee equivalent of hurricanes, because the meteorologists have found that attracts interest to their business. There was also a news story today about the folks at the Meadowlands stadium in New Jersey practicing large-scale snow removal, just in case nature tries to freeze out the Superbowl, as the Farmer’s Almanac predicted a few months back. One thing’s for sure, we are having a very interesting winter.